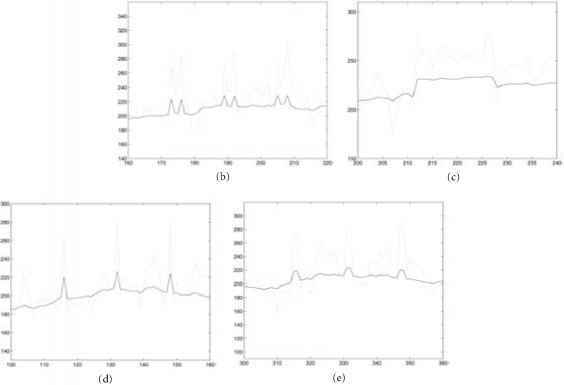 In this section, we present samples of experimental results and compare the dyadic wavelet analysis with other methods. 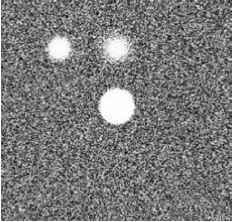 Figure 12a shows a synthetic image with three circular "bumps" and added white noise. The enhancement results shown in (b) and (c) demonstrate amplification of unwanted noise. Moreover, note that histogram equalization processing alters the object's boundary. However, the result shown in (d) accomplished by dyadic wavelet analysis provides a clearer image without orientation distortion. Note also the "halo" effect surrounding the smaller simulated masses in (d). Indeed, radiologists are trained to be sensitive to this visual feature in detecting subtle masses in screening mammography. 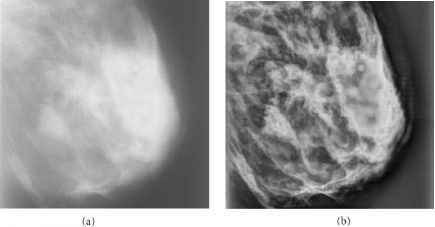 Figure 13a shows an original dense mammogram image with an obvious mass. The boundary of the mass in the enhanced image is more clearly defined and the penetration of spicules into the mass is well delineated. FIGURE 10 Two-dimensional dyadic wavelet transform (two levels shown). FIGURE 11 Denoising and enhancement for the 2D case (level one shown). and evaluate the contrast improvement. 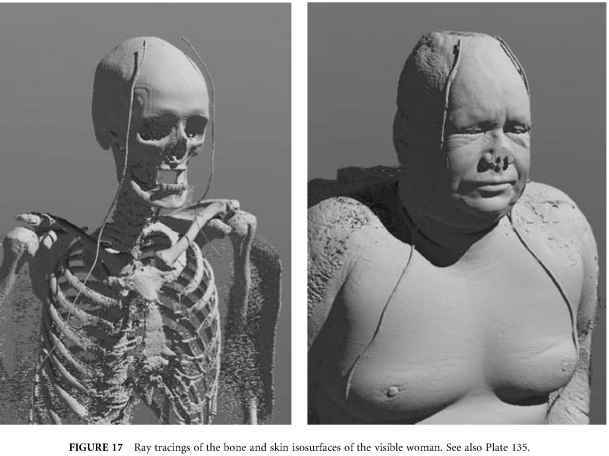 Our models included features of regular and irregular shapes and sizes of interest in mammographic imaging, such as microcalcifications, cylindrical and spicular objects, and conventional masses. 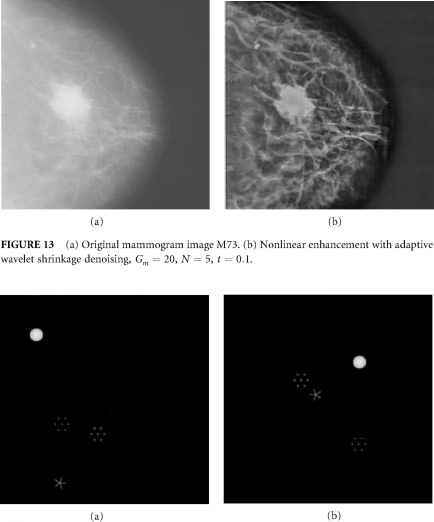 Techniques for "blending" a normal mammogram with the images of mathematical models were developed. The "imaging" justification for "blending" is readily apparent; a cancer is visible in a mammogram because of its (slightly) higher X-ray attenuation, which causes a lower radiation exposure on the film in the appropriate region of a projected image. FIGURE 12 (a) Noisy image (white Gaussian noise contaminated). (b) Histogram equalized. (c) Nonlinear enhancement by Beghdadi and Negrate's algorithm . (d) Nonlinear enhancement with adaptive wavelet shrinkage denoising, Gm = 20, N = 4, t = 0.1. 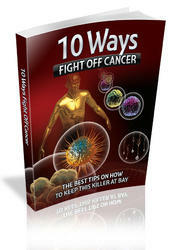 The efficacy of the dyadic wavelet analysis technique was tested using mathematical phantom features blended into clinically proven, cancer-free mammograms. Figures 14a and 14b show mathematical phantom features that were blended into two images, resulting in the images shown in Fig. 15 (a) and Fig. 16(a). Figure 15a shows a dense mammogram with blended phantom features, while Fig. 15b shows the image processed by the nonlinear enhancement method. The enhanced image makes more visible the boundary (uncompressed areas) of the breast and its structure. In addition, the phantom features are also well enhanced. Figure 16a shows a dense mammogram with blended phantom features, and Fig. 16b shows the corresponding enhanced image. Other results have shown that the multiscale processing techniques just described can make unseen or barely seen features of a mammogram more obvious. The analyzing functions presented improve the visualization of features of importance to mammography and assist the radiologist in the early detection of breast cancer. Figure 16a shows an example of a mammogram whereby the mathematical phantom shown in Fig. 15a has been blended into a clinically proven, cancer-free mammogram. These images shown were constructed by adding the amplitude of the mathematical phantom image to a cancer-free mammo-gram followed by local smoothing of the combined image. FIGURE 14 (a) Five phantom features to be blended into M48. (b) Five phantom features to be blended into M56. FIGURE 15 (a) Mammogram image M48 with blended phantom features. (b) Nonlinear enhancement with adaptive wavelet shrinkage denoising, Gm = 20, N = 5, t = 0.1. FIGURE 16 (a) Mammogram image M56 with blended phantom features. (b) Nonlinear enhancement with adaptive wavelet shrinkage denoising, Gm = 20, N = 5, t = 0.1. FIGURE 17 (a) Refinement relation for Deslauries-Dubuc interpolation (DD). 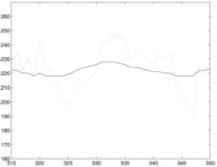 (b) Interval wavelet plot, D = 3. 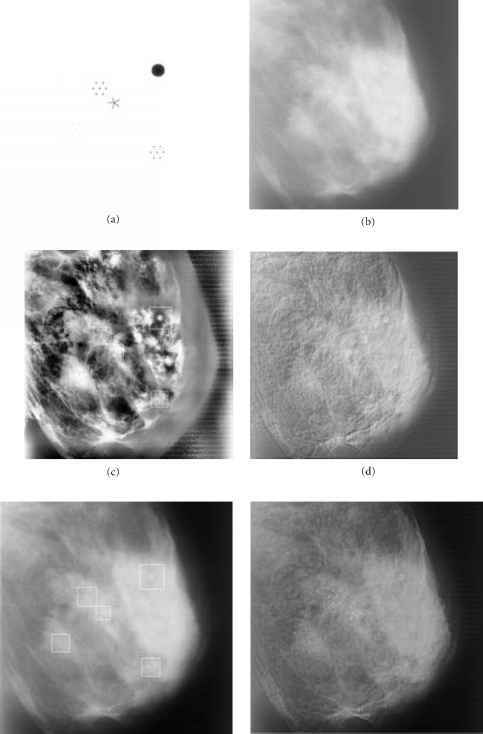 FIGURE 19 Contrast enhancement of features in blended mammogram. Phantom mammographie features from top to bottom: minute microcalcification cluster, microcalcification cluster, spicular lesion, circular (arterial) calcification, and a well-circumscribed mass. (a) Original image. (b) Enhancement by unsharp masking. (c) Enhancement by adaptive histogram equalization. 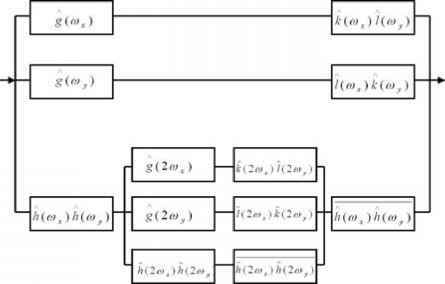 (d) Enhancement by adaptive gain processing of DD wavelet coefficients. (e) Local enhancement by multiscale edges of DD wavelet coefficients. 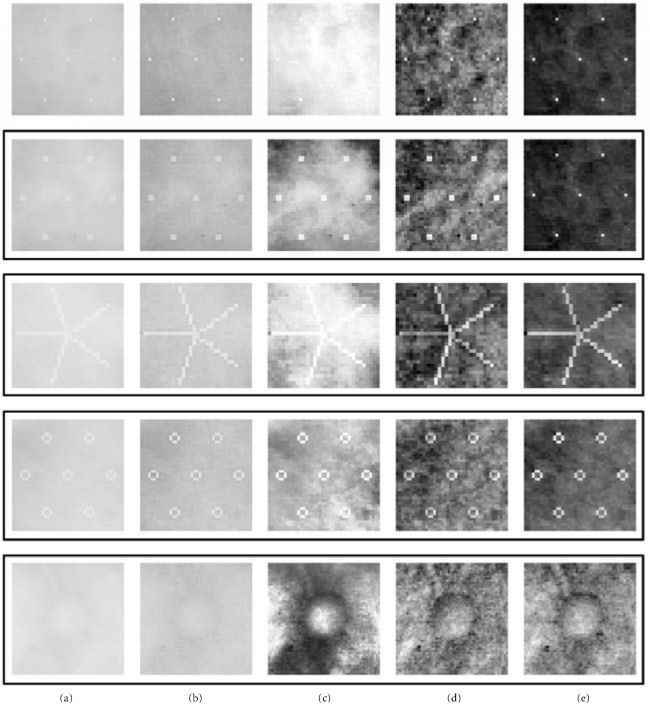 FIGURE 20 Sample scan lines displaying enhancement by the method of multiscale edges of DD wavelet coefficients: (a) minute microcalcification cluster, (b) microcalcification cluster, (c) spicular lesion, (d) circular (arterial) calcification, and (e) well-circumscribed mass. Solid line indicates original mammogram; dotted line indicates local enhancement by multiscale edges.